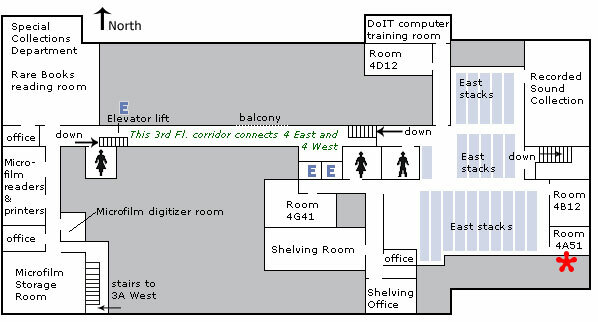 This room is located on the southeast corner of the 4th floor of Ellis Library, the main library on the MU campus. Its approximate location is marked by the red star ( ) on the map below. Access after 5:00 pm and on weekends is restricted to users authorized by the Classics, Art History and History departments. Materials in this room do not circulate.